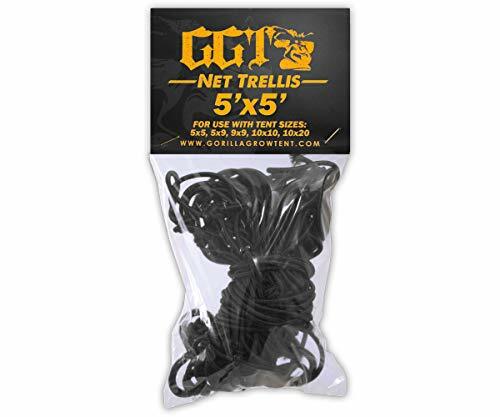 Gorilla Grow Tent Net Trellis, 5' x 5' by Gorilla Grow Tent at Sun Light Village. MPN: GGTXNT5X5. Hurry! Limited time offer. Offer valid only while supplies last. Every plant needs a little help to Grow Strong. Let Gorilla Grow Tent maximize your indoor garden's potential with their Grow Strong Accessory Line.